But more importantly, I want to tell you what I can do for YOU! 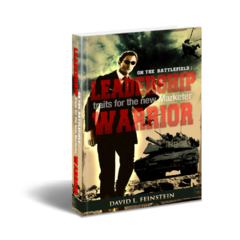 One of network marketing's premier trainers and teachers, David Feinstein is an accomplished motivational speaker and coach as well as the author of many highly successful books. David believes that life is meant to be lived to the fullest, and his personal life is a reflection of what you can achieve when you live fully. David spends his time spanning the globe with extensive travel and enjoying his personal freedom with his lovely wife Ann. With over 20+ years of experience in the NWM profession, David is 100% happy in his daily life, enjoying financial freedom, his love of coaching, animals, family and friends and personal empowerment. David is always welcome to partnerships and learning more about network marketing and personal branding. David is a self-described outside the box thinker who has a true entrepreneurial spirit that began when he started managing paper routes with other children at the age of 12. As David entered adulthood he found himself running a highly successful accounting firm. While many people would be pleased with that success alone, David always wanted more. Managing fortunes for some of the most recognizable names in Hollywood was not enough and soon David began looking into other avenues. 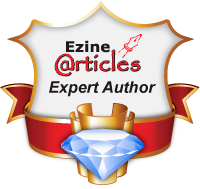 His strengths lie in his ability to motivate and craft highly effective marketing plans. His ability to engage, manage and work with some of the most demanding personalities on the planet has allowed David to truly become a leader in personal marketing. 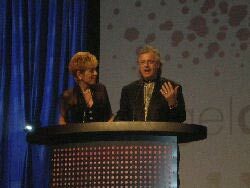 Recently, Mr. John Milton Fogg of MLM/Network Marketing fame, (he wrote the book "The Greatest Networker in the World") has said the following about David and wife/partner Ann; "It's been a looonnngg journey from their "weird" first exposure to network marketing where Ann— a Park Avenue Research Consultant, and David— the owner of an entertainment management firm handling the careers of rock stars such as (the early) Rolling Stones, Led Zeppelin, Michael Bolton, Cyndi Lauper, and other famous artists, found themselves at a meeting full of strange "new agers" from an MLM company— that was over 20 years ago— to where they are today: Significant six-figure income earners with Agel Enterprises leading an organization of more than 65,000 people in 40+ countries around the world. Above all else, David is focused on mentoring and leadership. With his expertise in recruiting, coaching, training and international development has made David a much sought after direct sales business expert. David’s approach marries both classic MLM and the technology advances of the Internet and social media. David meets new people through blogs, electronic newsletters, Twitter and Facebook leveraging his time and global reach. The business is all about relationships and giving value … and consistently building the brand." Having been significantly involved in direct marketing and sales for 20+ years, serving as a distributor (team member), speaker, trainer, Top Leader, and author in the industry on a worldwide basis. Working together with wife & business partner Ann, they coach, mentor and train those seeking empowerment, greater self esteem and branding image, and training people seeking financial success and personal life freedom. David’s personal passion of "showing people there's a better way" to market their business lays the foundation for the inspiring and motivating topics he speaks and teaches. Innovative, creative, interactive and dynamic, David speaks on topics in marketing and sales that most professionals find difficult or challenging to understand. Applying his unique and visionary approach easily, safely and comfortably draws audiences in from the beginning and keeps them engaged until the end. His extensive knowledge in marketing and sales makes these topics easy for audiences to understand, as he addresses and speaks from personal experience and with authority and passion. A key success factor David brings to audiences is the delivery of information that is transformational, invigorating and can be applied today. David’s experience on stage as a speaker helps deliver messages to audiences in a fresh, inspiring, motivating way.